Thanks for checking out my page. I really appreciate all the prayers and continued support. Your only limitations are what you believe them to be. Good Luck and God bless. Born in Seattle, Jamie attended Valley H.S. after relocating to Sacramento, CA. Prior to Eastern Michigan University, Jamie attended Sacramento City College in order to work on his jumping to earn the eventual scholarship he received from EMU. While competing for the Eagles, Jamie received his degree in Marketing with a minor in Advertising, jumped the school record, and was a three-time All-American. During his professional career, Jamie made two Olympic teams, earned the 2004 USA Indoor Title, and three USA Outdoor titles (2003, 2004, and 2012). 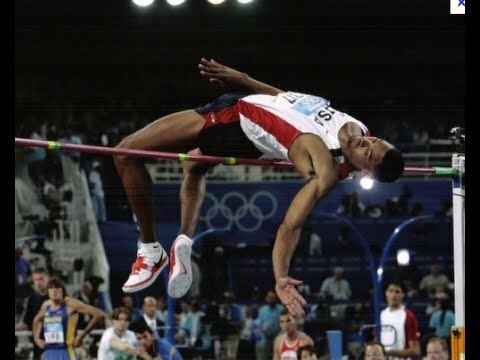 Additionally, he holds the High Jump World Record for a 35 year old. Off the track, Jamie is an actor, writer, and producer. He currently has three acting credits on Netflix: The Encounter, Red Line, and Jerusalem Countdown. Behind the camera, Jamie's first project was an urban crime drama, Blood Brothers, and he produces a webseries, Holla Atcha Boy, where he interviews world class and olympic athletes (you can catch the episodes on his website and YouTube). Off the track and away from the screen, Jamie enjoys video games, reading, and writing. He is also a part-time Private Coach and hosts an annual track and field clinic for athletes from ranging elementary school to college/university.